9,800 traffic guardias on duty during Holy Week | Marbella Marbella – Adelante! 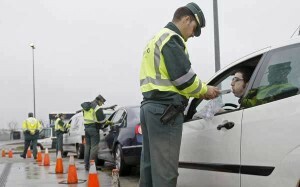 ﻿ Spain’s traffic police are putting 9,800 guardias on the roads during Holy Week, one of the busiest travel periods of the year, with 14.4 million journeys predicted. This year’s number of traffic police is 500 more than last Easter, while the number of journeys is predicted to remain unchanged. The busiest time is likely to be Wednesday evening, police say. Last year on Holy Wednesday between 3pm and 11pm traffic backups continued for 120 kilometres at times. As is normal strategy during holidays, police will employ reversible and additional lanes marked with cones. Besides conducting traffic and assisting motorists, many guardias will be assigned to check for motorists driving while intoxicated, police say. Last year’s Easter traffic resulted in 47 traffic fatalities on Spain’s roads, with 286 motorists seriously injured. Banderas establishes foundation for cancer care and scholarships to U.S.